A Jet Airways Boeing 777-300ER pulling into it's gate at London Heathrow. The saga of Jet Airways has been analysed to death. The situation is turning in to a tale of “could have, should have, would have……..”. In this scenario, we opine the best option, for now, is to ground Jet Airways, and suspend all operations. It is a radical opinion, but do read on. Most importantly airports have started re-distributing the one major asset the airline had, its valuable landing and parking slots at metro airports. Potential buyers are getting those slots for free, without having to invest in Jet Airways. The political and bureaucratic leadership is pre-occupied with the general elections and the lenders, led by government-owned banks, don’t show any sense of urgency or decisiveness in resolving the situation. Despite all the talk of passenger convenience, hundreds of passengers flying on Jet are being inconvenienced due to the uncertainty of schedules. Unpaid employees are bravely facing the wrath of these passengers trying to re-route or refund tickets. 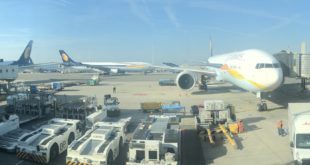 A skeletal schedule does not allow Jet Airways to send a clear message to its stakeholders, thus eroding their confidence. 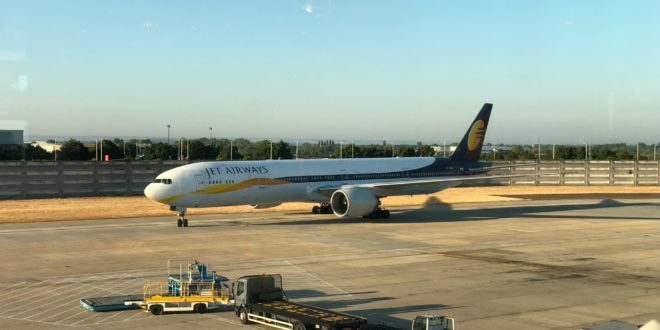 Media reports suggest Jet’s wide-body fleet is owned and this provides collateral value to the lenders which can be sold-off. Any lender taking this precipitous step is striking its own foot with an axe. Any sell attempt sends a signal the lender is no longer confident in the airline, and this will trigger a melt-down. The failure of Kingfisher Airlines had a dire impact on the credibility of the entire Indian aviation industry. Lessors turned bearish on India. Many stayed away, the few that transacted, demanded much higher lease rentals and larger deposits. A failure of Jet will again affect Indian aviation negatively. 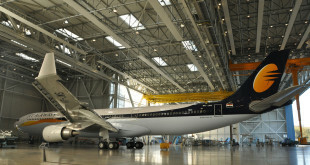 India can ill afford this as it strives to become the third largest global aviation market. Decisive action is needed. Banks should sanction desperately needed funds, or clearly refuse to do so. A failure of Jet will impact the Indian economy broadly. Stakeholders include passengers, employees, vendors, airports, oil marketing companies, lenders, lessors, and many more. Many of them are government-owned and their losses will end up being funded by taxpayers. 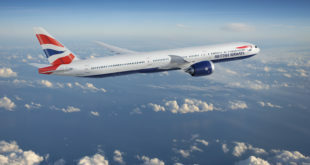 Secondary impact by capacity constraint is already impacting the summer holiday travel, and a Jet failure will only result in even higher air fares. A failure could give IndiGo over half the market share, and that will be suppress competition to the detriment of the passenger. If we look at the overall scenario, and the impact of a Jet Airways failure, the earlier requirement of Rs 1,500 crore is not that large an amount. Even today, assuming that amount has doubled to Rs 3,000 crore, the amount is still not that large. Especially to the established industrial houses of India, sovereign wealth funds, or large private equity firms. One has to wonder why are the banks delaying and why has there been no public response to the requests to the EOI document? Are there any hidden landmines in the books of Jet or in the EOI document? Or is there some hidden agenda? If we go further and compare, national carrier Air India has a debt of over Rs 55,000 crore debt, Jet’s debt is Rs 8,000 crore. The government has pumped over 300% of Jet’s total debt as cash infusions to Air India. Why is the government ignoring a carrier of similar size but with significantly lesser debt? An airline with far greater employee commitment and with better chances of revival? With each passing day, the liabilities of Jet increase, and its market capitalisation decreases. The stakes of the promoters and shareholders must be collateralised while they still have value. This is an opportune time for the government to step in, all options appear to have been exhausted. Circuitous indecision and endless meetings without any outcome have failed. By continuing operations Jet Airways is only increasing its liabilities, and burning the last scraps of cash it has in reserve. Suspending operations will limit outflows to fixed costs without adding more variable costs. A grounding will bring the gravity of the scenario front and centre. Importantly, a grounding will buy time allowing for a reasonable plan, acceptable to all stakeholders, to be worked out. Not the panicked actions of the ongoing fire-sale. Our opinion is not without precedence. In 2011, facing militant industrial action, Australian national carrier, Qantas, suspended operations and grounded its entire fleet on October 29, 2011. Flights that were taxiing to the runway were brought back to the gate and passengers were de-boarded. Even leaders attending the CHOGM summit (Commonwealth Heads of Government Meeting) in Perth were affected. Two days later, the almost two year old industrial action was terminated after the intervention of then Australian Prime Minister Julia Gillard. Today, Qantas is one of the strongest airlines flying. Does Jet need radical actions to force the attention of a decisive Prime Minister? If yes, while the leadership of Jet may have the courage to take this bold decision, does it have the mandate to do so? We acknowledge our opinion is radical, but we would love to hear your thoughts. Also, what would be your suggestion on the Jet Airways situation? Post a comment.